H.P. 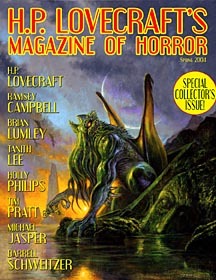 Lovecrafts Magazine of Horror [v 1 #1, Spring 2004] ed. Marvin Kaye (Wildside Press; Holicong, PA, $7.95, 124pp, quarto, cover by Bob Eggleton) Book-paper edition, on sale August 2003. Regular newstand edition is $5.99, 80pp, omitting advertising section, edition given as Summer 2004 on cover, published March 2004. 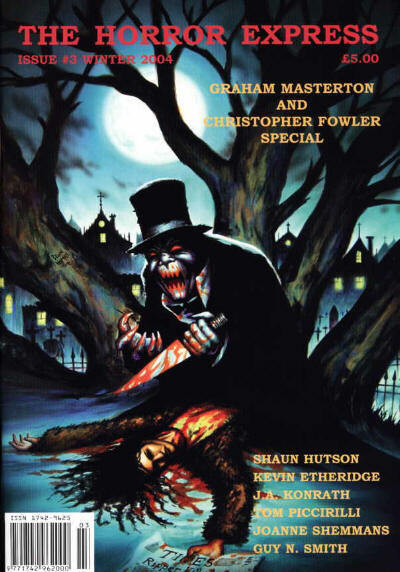 The Horror Express [Issue 2, Summer 2004] ed. 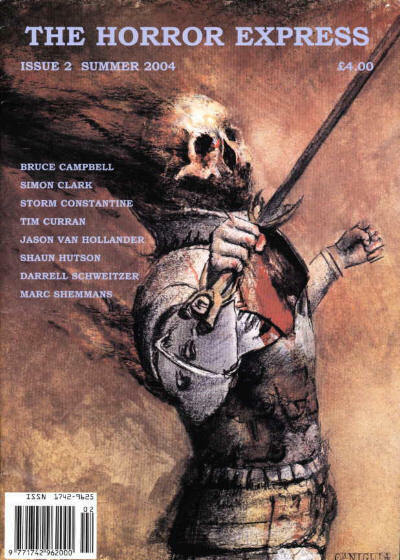 Marc Shemmans (The Horror Express, £4.00, 82pp, A4, cover by Caniglia) Small press horror magazine, available from P.O. Box 11600, Birmingham, B30 2WQ. Inferno! [#40, January/February 2004] ed. Christian Dunn (Black Library, £5.00, 66pp, 26 x 17cm, cover by Adrian Smith) Magazine of stories set in the worlds of Warhammer and Warhammer 40,000. Inferno! [#43, July/August 2004] ed. 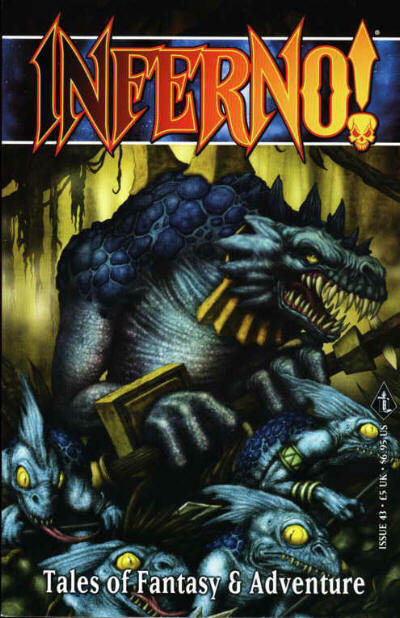 Christian Dunn (Black Library, £5.00, 64pp, 26 x 17cm, cover by Dave Allsop) Magazine of stories set in the worlds of Warhammer and Warhammer 40,000. Inferno! 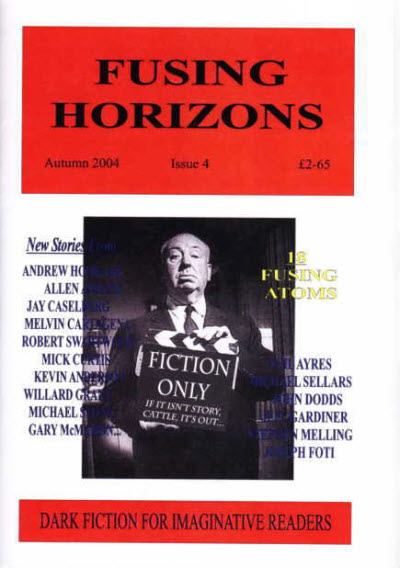 [#44, September/October 2004] ed. Christian Dunn (Black Library, £5.00, 66pp, 26 x 17cm, cover by Richard Wright) Magazine of stories set in the worlds of Warhammer and Warhammer 40,000. 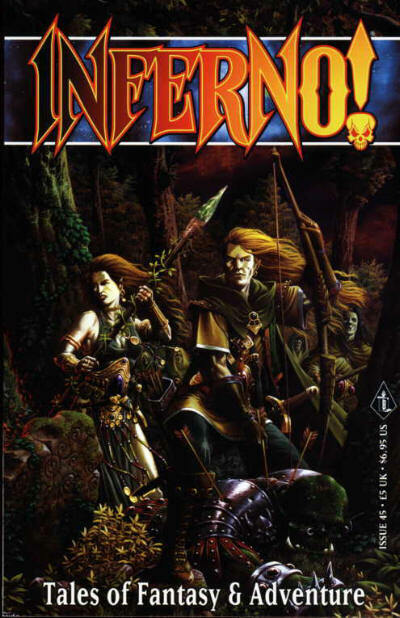 Inferno! 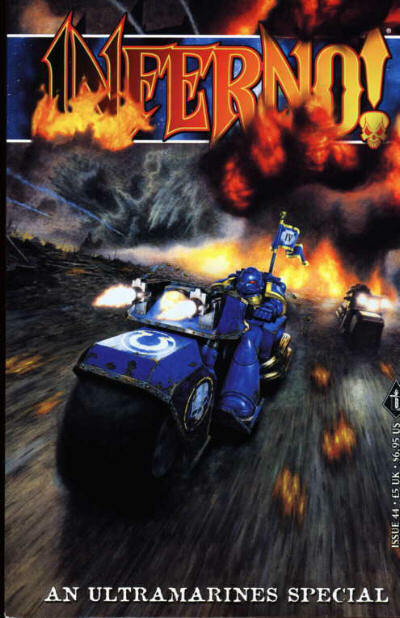 [#45, November/December 2004] ed. Christian Dunn (Black Library, £5.00, 66pp, 26 x 17cm, cover by Ralph Horsley) Magazine of stories set in the worlds of Warhammer and Warhammer 40,000.